Hold on to your forks foodies, the time is near! Spring has come and with its sweet sun and air the first to break through the soil is asparagus. Did you know that asparagus needs to be established for at least 3 years before its first harvest and will produce for up to 20 years? It’s worth the wait for this savoury vegetable and it gets better with age. 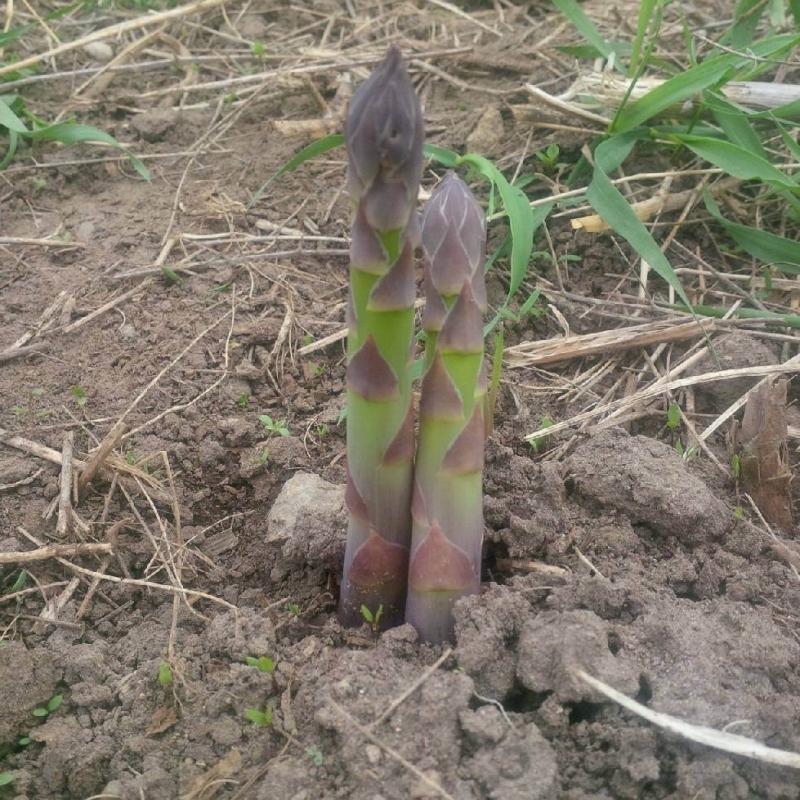 (Picture to the bottom right is 2nd year asparagus, which will be cut at about 4-5 feet tall and fed back into the soil for next years harvest). and flavourful, do not miss out! 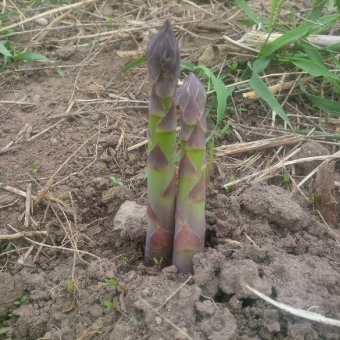 We hope to cut our first organic asparagus the first week of May. There's only a short window so keep your eyes open at the farmers' markets. Look out for green and white. You might be thinking, why is it so difficult to find white asparagus? It's because it's in such high demand, especially among the chefs for its subtle flavour and unique appearance, and it's only available for 1 month a year. Green and white asparagus can be grown from the same seed. The only difference is that white asparagus is covered with soil or cloth to deprive it from the sun and therefore its production of chlorophyll. It is considered to be a bit less mild in taste than green and tends to have a slightly tougher skin so it’s suggested to peel them before cooking. They say to take a thick layer off, but some are tougher than others, so test it out before you peel half of it away. Enjoy them boiled, steamed, grilled, roasted and even raw for good quality green asparagus! I know! Who knew it would taste so delicious raw?! To prepare them, instead of cutting the ends, snap them off (they snap naturally above the tougher region). You can use the ends for stock or soup!